The Supreme Court has ruled that the UK must provide minimum standards to asylum seekers, including the right to work, whether or not their first asylum application has failed. 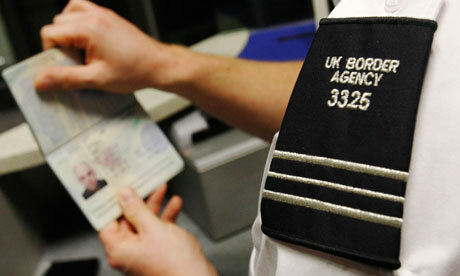 Asylum seekers will now be able to work if they have been waiting for over a year for a decision. The ruling is the latest in a line of court defeats for the Government on its asylum policy, including the recent High Court ruling that part of the fast-track deportation system is unlawful, as well as the Supreme Court’s rejection of the policy of sending gay asylum seekers back to countries where they may face persecution for their sexuality. The minimum standards for the reception of asylum seekers were brought into law by the EC Council Directive 2003/9/EC (the Reception Directive). These entitle asylum seekers to fundamental rights in light of the principles recognised by the Charter of Fundamental Rights of the European Union, and in particular those ensuring respect for human dignity. Article 11 of the Reception Directive guarantees that access to the labour market shall not be withdrawn during appeals procedure. ZO arrived from Somalia in 2003 and MM from Burma in 2004. Both had their initial asylum applications refused and then made fresh applications. They attempted to judicial review the decision not to allow them to work, but had their applications rejected by the High Court. Their appeals were then allowed by the Court of Appeal. In the Supreme Court, the Secretary of State argued that where an asylum seeker makes a second application for asylum after his first application has been finally rejected, he is no longer entitled to the benefits granted by the Directive, and in particular the right to work under Article 11. This was because, it was argued, the words ‘application for asylum’ in the Directive only apply to a first application, and not to subsequent fresh applications made after the first has been rejected. The outcome of the Supreme Court decision is that tens of thousands of failed asylum seekers whose fresh applications are grinding their way through the system will now be entitled to basic rights, including the right to work. This is undoubtedly a high standard to maintain, and will place an increased burden on the state in strained times. However, it is surely preferable, as the court pointed out, to those rights being withdrawn after an initial failed application in order to discourage failed asylum seekers from bringing fresh applications, and therefore being stranded and unable to work for years as they wait for their applications to be dealt with. The Home Office have said that they are “disappointed” with the ruling, with Damien Green, the Immigration Minister, maintaining that “this judgement will only have a short term effect. The long delays in the asylum system will be resolved by the summer of next year when all the older asylum cases are concluded.” If he is right, then this will be welcome news to asylum seekers currently languishing in the appeal process. Meanwhile, it has been reported today that the Home Office are seeking to minimise the impact of the judgment by restricting the kinds of jobs that asylum seekers can take. If this turns out to be true, the restriction may be vulnerable to a court challenge on the same lines. For the time being, as the court concluded, the problem of undeserving cases “should be counteracted by identifying and disposing promptly of those which have no merit and ensuring that those applicants who are genuine are not deprived of the minimum conditions that the Directive provides for.” In other words, if the asylum system is too slow in dealing with cases, or fails to sift out poor applications early on, this cannot be a reason in itself to deny fundamental rights guaranteed by law.